CAKEWALK BAKE SHOP: Join us at Thursday Therapy! Join us at Thursday Therapy! 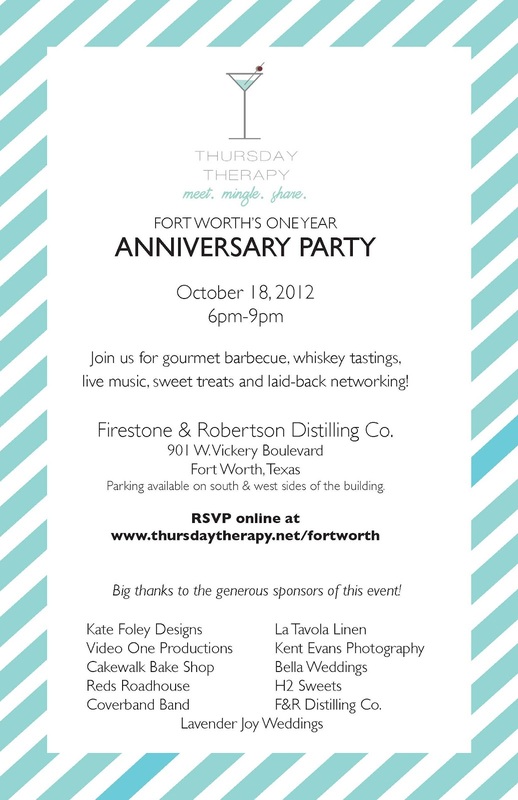 Hope to see you at the Fort Worth Thursday Therapy one year anniversary party, this Thursday (10/18) at Fort Worth's new whiskey distillery, Firestone & Robertson Distilling Co. Can't wait to check out F&R, meet new people, and share some of our warm and toasty seasonal treats!